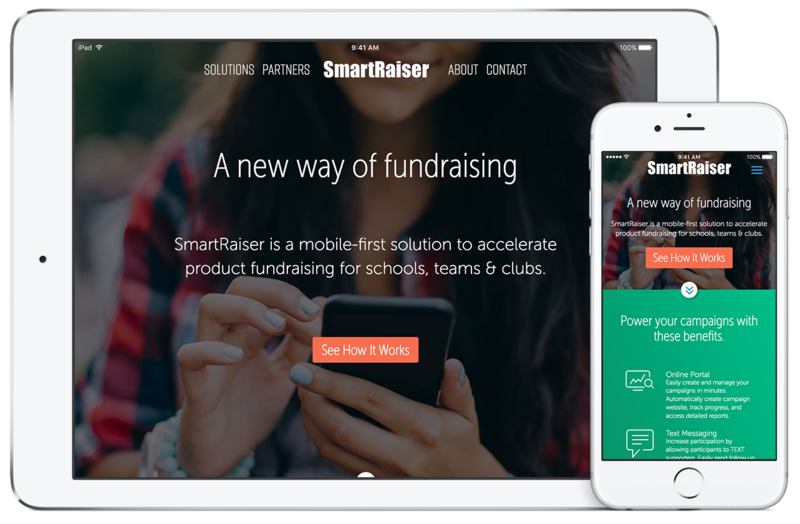 SmartRaiser is a mobile-first solution that accelerates product fundraising for schools, teams & clubs. 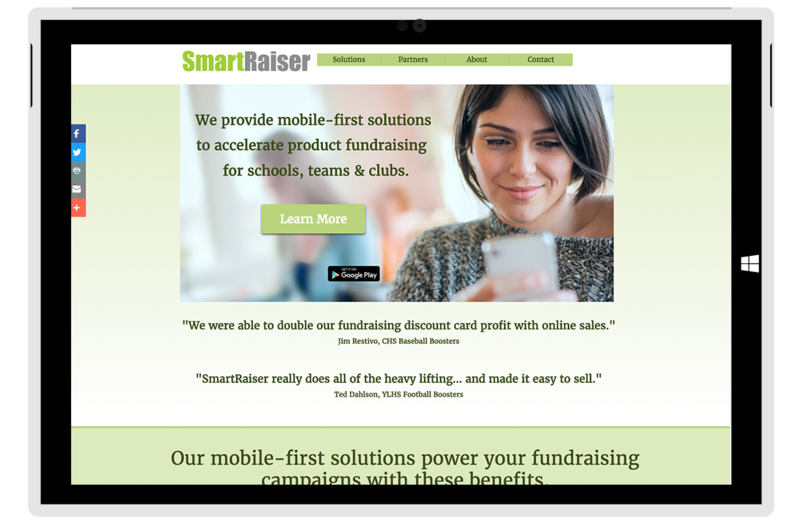 Instead of relying on paper order forms, easy to misplace plastic discount cards, and paper event tickets to raise money, the SmartRaiser app provides fund raisers with the latest technologies to make fund raising easy, mobile-friendly, social. Because their former website did not fully represent their brand as a technology driven company, Tallan was asked to upgrade their website design and functionality. Tallan’s Design group generated a wide variety of visual design concepts for the client. At the request of the client, Tallan also introduced new color palette and typography options in order to refresh their branding. After a thoughtful review process and discussion with the client, a design was selected. After further refinements, the design concept was finalized and carried throughout the website. The fully-responsive website was then produced and released in time to debut at the client’s major industry conference. The result was an engaging website with an improved aesthetic and user experience that better conveyed the company’s brand. The site is hosted in Microsoft Azure and uses the latest build services with automated deployments publishing within seconds of making the changes. Visit http://smartraiser.com to see our work.